Curious about deaths by cow in the suttas, I found out that it does indeed happen. Every year, cows kill more people than sharks. And yet nobody ever makes a horror movie about them, and there's no Cow Week. These deadly beasts have managed to stay completely under the radar... until now. 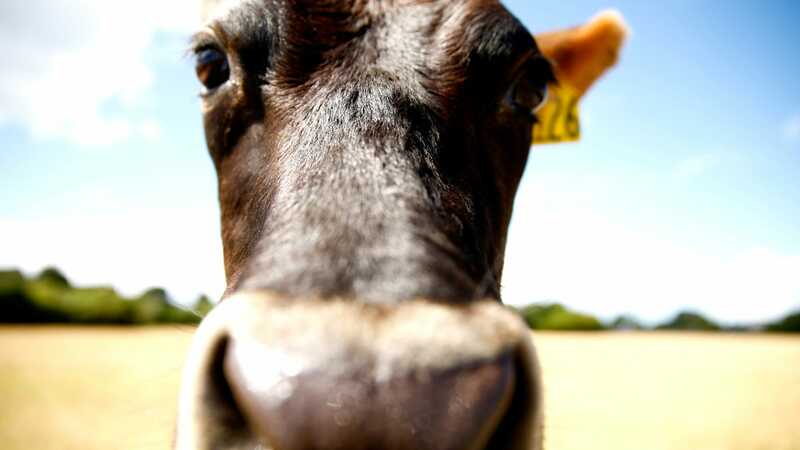 Find out just why cows are so deadly. I really feel you are talking a bit much about cows lately, Karl. Please be careful! Cows are lovely, especially when you scratch their heads. There’s a horror film about killer sheep called “Black Sheep”, but I can’t think of one about cows. Haven’t cows been bred to be placid and docile? All the ones I’ve talked to seemed really laid back. There’s a difference between equanimity and not having metta towards yourself. All the ones I’ve talked to seemed really laid back. You need to talk to them in the right way, of course. I’ve had cows chilling in my front garden, while I was generating metta towards them! They seemed soothed. I’ve tried it with cats, but they are more of a challenge. They need you to crouch down. Insecure, perhaps! Less so with the food bowl in your lap. ‘cows with guns’ - it’s a youtube cartoon, and it’s funny!